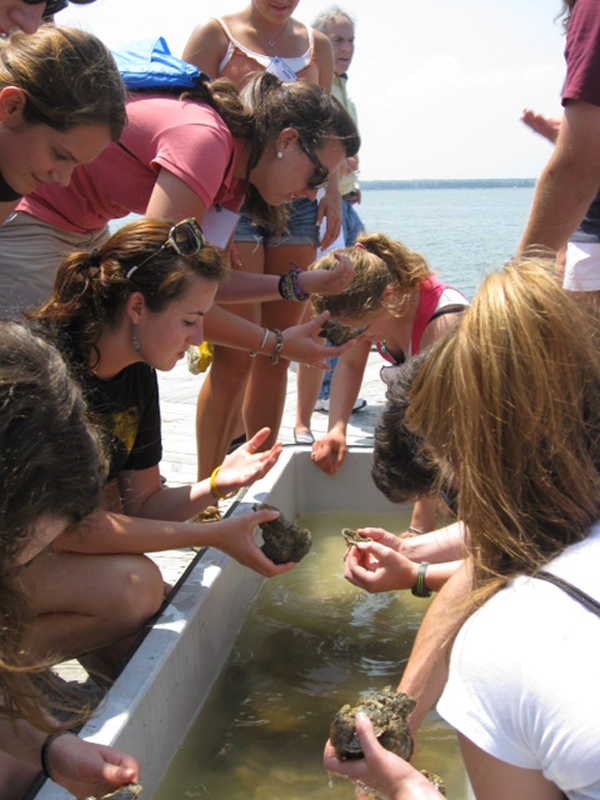 I fell in love with the ocean and its exotic sea life after a magical undergraduate summer at the Marine Biological Laboratory in Woods Hole, Massachusetts. Like so many students, I discovered an entirely new world I had no idea existed. This formative experience was the launch pad to a fulfilling career as researcher and ecology professor at Harvard and Oregon State universities, and ultimately to the helm at NOAA. But, unlike many young women of my era, I was lucky. I had role models, support and opportunity. As I wrote in my blog post for Women’s History Month, my parents encouraged my five sisters and me to explore our interests and follow our passions, wherever they might lead. We had ample opportunity to participate not only in science camps, but also sports (both individual and team) and other extracurricular activities. Doing so was great preparation for life in general, but science and science politics in particular. My mother, who worked as a doctor part-time so she could raise us and still fulfill her own career aspirations, is my greatest role model: She instilled us with a strong heritage of empowerment. When life threw up obstacles, my mom challenged us to seek solutions and be resilient. I was also lucky to marry a truly wonderful husband who believes in our being equal partners. When we decided we both wanted to teach, do research and raise our children together, we came up with a creative solution: We split one full-time academic position at Oregon State University into two part-time positions —something that was an unusual arrangement then, but it worked out beautifully. As the head of NOAA and as a woman in science, cultivating and supporting the next generation of scientists and innovators is a high priority. Our recent blog post on NOAA’s scholarship opportunities for young, aspiring scientists – women and minorities included – demonstrates our commitment to opening doors for students and creating robust experiences and vibrant career paths for all of our scientists. I hope you’ll spread the word to all the young women you know who have science in their sights. Submitted on August 12, 2011 - 6:34pm. You admitted you had a great opportunity to teach, do research, & have a family by job sharing. Women scientists in NOAA have a much more difficult time balancing work and family committments. The mission of NOAA's biggest agency--the National Weather Service--requires the majority of their employees (operational forecasters) to work rotating shifts. They can't telecommute because they need to use the AWIPS workstations, so that opportunity is only available to administrative positions. But why not allow job sharing? If 2 forecasters (either a husband & wife or 2 others) are willing to each work half time, that would work out well. Submitted on August 15, 2011 - 9:34am. It's good to read that NOAA has scholarships for young, aspiring scientists. Can you also comment on what opportunities are available to young professional scientists? Despite the underrepresentation of women and ethnic minorities in STEM careers, there are still far more STEM PhDs produced every year than can find jobs in their fields of expertise -- women and minorities included, to use your phrase.